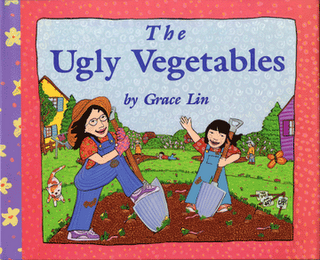 My first published book was, The Ugly Vegetables, a story about my mother and I and the Chinese vegetables we grew when I was a child. One look at the cover and you can see it’s chock full of the multicultural label. So soon after (during the discussions for another project) when an editor asked me to consider changing my Asian girl character to a Caucasian boy, I should’ve felt a sense of satisfaction and relief. The reasons were good— changing the character would make it so that the book wouldn’t be considered multicultural, its sales wouldn’t be limited and I, as an author, wouldn’t be pigeon-holed. But, instead, I was uneasy. So, strangely, it was the unsettling nature of this editor’s request that made me find my balance. It sifted away my fears, the practical reasoning and the backhanded compliments and left me proud of what I am, a multicultural author.